The collapse of the 2011 Red Sox is a well-documented story, so I won't waste a lot of words with the intro. The season started with one vision and it ended with fried chicken, along with a 6-18 nightmare in September. The Olde Towne Team somehow found a way to blow a nine-game wild-card lead in the final month. No playoff baseball in The Hub. Ben Cherington (one of Epstein's proteges) is the new man in the GM chair, but he's yet to put the credit card to work. Boston didn't throw any money around in the offseason and the projected payroll for 2012 is actually $7 million under last year's number. Maybe ownership feels a little burned by some of Epstein's shopping mistakes (Lackey, Dice-K and Drew, among others), or perhaps the organization thinks it has enough talent in-house to contend. The Red Sox were consensus American League favorites at this time last year, but as things stand today, they're just the third-best AL East team on paper. Ah, but why let real-life baseball get in the way? There's plenty of fantasy value, and intrigue, to be found at Fenway Park. Let's meet up in Kenmore Square and try to figure it all out. Where's the Carl Crawford rant? We know it's in there somewhere. I'll try to do my best not to steer this PQ off the road, but the subject of Crawford gets my dander up. Why would you want to make a seven-year, $142 million commitment to someone who can't hit lefties, doesn't walk regularly and doesn't fit your lefty-heavy lineup? Crawford's sublime defense is of little help in Fenway Park's left field (where a postage stamp could cover the territory), and he actually had a poor defensive debut in Boston according to most advanced metrics. It's a headache trying to find a spot where this guy fits. He doesn't want to move out of left field, which is a shame — you'd love to have a major athlete in right. He's reluctant to bat leadoff, not that his skills slot there anyway. Given that three of Boston's top five hitters are left-handed (Ellsbury, Gonzalez, Ortiz), it's difficult to put Crawford near any of them — you don't want to make your offense vulnerable to lefty specialists out of the bullpen. Crawford had a sorry .195/.249/.317 slash against southpaws last year, and his career OPS against them is a modest .684. I doubt the Red Sox would ever make Crawford a platoon player — he makes too much money, and you run the risk of insulting the player and potentially losing his best effort — but the stats on the page suggest that idea. Crawford had surgery on his left wrist in the middle of January, and while it's not considered a major procedure, there's a solid chance he'll be on the shelf when the regular season starts. If you want to bet on some sort of magical comeback year, be my guest. I see a player who's never hit 20 homers in a career, a player who's coming off a miserable season in a city where he might not be comfortable, and a player who has a .275/.305/.410 career slash in his home park (that's over 559 at-bats in Fenway). I currently have Crawford No. 33 on my outfield board, which means I'll never get him. If you see a strong case for taking him earlier than that, share your notes with us in the comments. Great breakout from Jacoby Ellsbury, but now he's expensive. What do we expect for 2012? What do we pay for? I suspect the Index projection was heavily influenced by Ellsbury's three-year averages — he only played 18 games in 2010. The Index ticket suggests Ellsbury is a second-round player, but all other sources are predicting a haul that would fit in the first round. I'm prepared to strongly consider Ellsbury in the second half of the first round, whenever I find myself picking there. It's a folly to bank on 32 homers again, but the 20 spit out from this exercise looks like a fair over/under. Everything else in Ellsbury's profile (the batting average, the bags, the run production) is worth paying for. The ballpark and the supporting cast provide a helpful backdrop, of course (Fenway spikes run production by 11 percent). Now that Marco Scutaro has been liquidated to Colorado, what's Boston's plan at shortstop? I wish I could tell you there would be a full-time option ready to go here, but it looks like a mix-and-match position. Mike Aviles has plenty of roto juice in his bat, but his mediocre defense will probably keep him from a full-time job. Nick Punto is around for depth; his switch-hitting and credible glove will get him into the lineup now and then (enough to nix Aviles's value in mixed leagues). Prospect Jose Iglesias has a glove that's ready for the majors, but his paltry bat won't play in Boston just yet. He'll expected to start the year with Triple-A Pawtucket. One other thing with respect to "Boston shortstop" — none of these players are going to command a lofty batting slot. Look for them to be in the eighth or ninth position when they're in the lineup at all. What's the story with new closer Andrew Bailey? Bailey's a heck of a closer when his body cooperates. He converted 75-of-84 save chances with the Athletics over the last three years, along with a nifty 2.07 ERA and 0.95 WHIP. Bailey misses bats (one strikeout per inning) and whiffs about 3.5 batters per every walk. He's lights-out against righties and decent enough against lefties. You can understand why Boston made him a trade target. But we can't ignore the medical file. Bailey was limited to 90.2 innings over the last two years — about 50 fewer than you'd expect — due to a litany of health problems. Get out the patient folder, it's a thick one: forearm, elbow, oblique, back, knee. Bailey has Top 10 closer skills, but I can't rank him there with all these physical question marks. Mark Melancon, another winter addition, is ready to pick up the pieces if Bailey falters. Melancon was 20-for-25 as Houston's surprise closer last year. His strikeout rate is nice (7.9/9) and his ground-ball resume is better (55.5 percent for his career). Melancon should be a strong option in the seventh and eighth inning (if Bailey holds up), or a decent ninth-inning man (should Bailey break down again). Daniel Bard, last year's eighth-inning man, is expected to get a look in the rotation. Bard was one of many September scapegoats (10.64 ERA, 1.82 WHIP, four losses), but overall he's been an asset in Boston for three years (2.88 ERA, 1.06 WHIP, 213 strikeouts against 76 walks over 197 innings). When you have a live young arm who wants to start, you might as well give it a look. Bard was initially drafted as a starter; Boston shifted him to the bullpen in his second pro season. Lansdowne Leftovers: Josh Beckett had a nifty comeback in 2011, trimming his walk rate and keeping the ball in the park. For the first time in his six-year Boston career, his out-the-door ERA (2.89) was a lot better than the peripherally-suggested numbers (3.57 FIP, 3.58 xFIP). 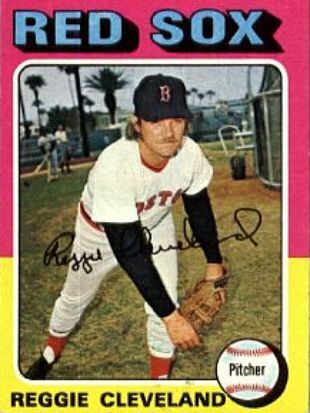 Generally Beckett is someone I look to avoid on draft day, given his mediocre career numbers in Fenway Park (4.28 ERA, 1.21 WHIP). 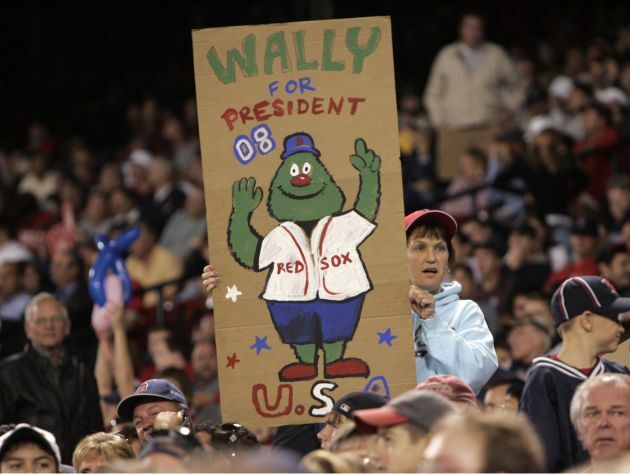 He's also carrying messy career stats against the Yankees, though Marlins fans still remember the 2003 World Series fondly. … John Lackey is slated for Tommy John surgery, so he's out of our hair for 2012. … Kevin Youkilis was hobbling around like Fred G. Sanford at the end of last season, and he hasn't made it past 500 at-bats since 2008. I'll be stunned if he turns in another .258 season, but you can't bid on more than 130-140 games here. If you haven't read Page 6 recently, have a look at the latest Youkilis society news… Although Clay Buchholz's ERA jumped over a run in 2011, he pitched about as well as he did the previous year: his strikeout, walk, strand and ground-ball rates were almost identical. The big pitfall came with the long-ball; Buchholz was lucky with his HR/FB rate in 2010 but regressed to a normal rate last year. A sore back cost him the second half of the season. It's amazing to me that Buchholz's career strikeout rate is under 7/9, given his impressive arsenal of stuff. He's still just 27. I would consider him as a possible mixed-league sleeper if the price fell in line; I'm looking for something cheaper than the current 207 ADP. … Cody Ross and Ryan Sweeney are around to battle for playing time in right field. Valentine isn't one for traditional platooning, but both players have significant gaps in their lefty-righty splits (good news for Sweeney, the lefty, and bad news for Ross). Perhaps both players will be on the field early on, while Crawford heals up.